and will not share or sell your information with anyone. All Sales Factory Direct to you...! 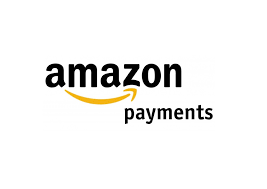 Pay with Amazon Click the (Amazon) Button and pay with your Amazon Account. No need to enter Credit Card or Shipping Information. One Click and your done...! Check or Money Order Payments NOT accepted. StandDaddy™ comes with a lifetime warrantee and guaranteed against defects, and will be replaced if found defective with intended use. All StandDaddy™ products can be returned for a full refund of original purchase price within 10 days. Items must be returned in good as sold condition. Refunds will be posted to buyers original purchase account, within 10 business days. Shipping is Free via USPS to all states in the USA, and fully insured. International Shipping via USPS, insured, and cost will be determined. Please Email for International Shipping Cost. Your order is guaranteed to be spot on and work flawlessly, PERIOD or will be replaced at no charge. If there is any problem with your order whatsoever PLEASE email right away, and don't hesitate to ask if you have any questions. Thank you for your kindness and business.